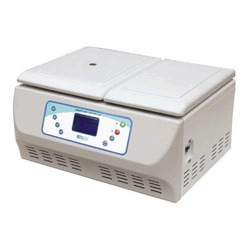 Exporter of a wide range of products which include medico-doctor centrifuge, refrigerated research centrifuge lrc-20r, doctor centrifuge, laboratory centrifuge, laboratory research centrifuge and refrigerated research centrifuge. A Medico-Doctor Centrifuge is an apparatus that is driven by an electric motor and works on the principle of sedimentation, where the centripetal acceleration produced by the rotational force of the machine, cause more dense substances to settle in the bottom and the lighter ones on the top. We are one of the most trusted companies in the field of the supply of Doctor Centrifuge. Labtop micro controller based Laboratory Centrifuge Cat. No. 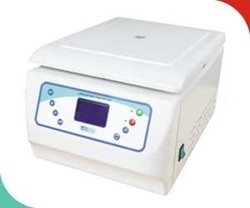 LLC - 4 is a compact centrifuge suitable for routine work in medical and industrial laboratories. We are offering of Laboratory Research Centrifuge. 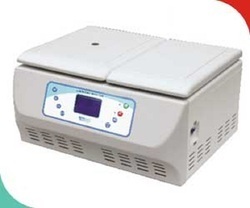 Labtop micro controller based High speed refrigerated research centrifuge LRC – 20R is useful for centrifugation of temperature sensitive materials and widely used in research centres, bio technology, soil testing laboratories also used in medical laboratories and educational Institutes. 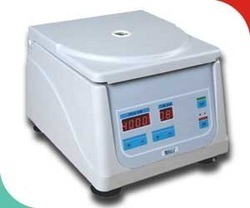 We are offering of Refrigerated Research Centrifuge. Labtop-Leveraging on the support of our industry experience, we are able to come up with Laboratory Centrifuge.